What does morning skinny mean? Let's face it: Getting out of bed in the morning is the worst. But if you're body-conscious, there might be one perk: morning skinny. Morning skinny is when you look or feel slimmer first thing in the day, before you've had anything to eat—and in some cases, after you've dropped a deuce. 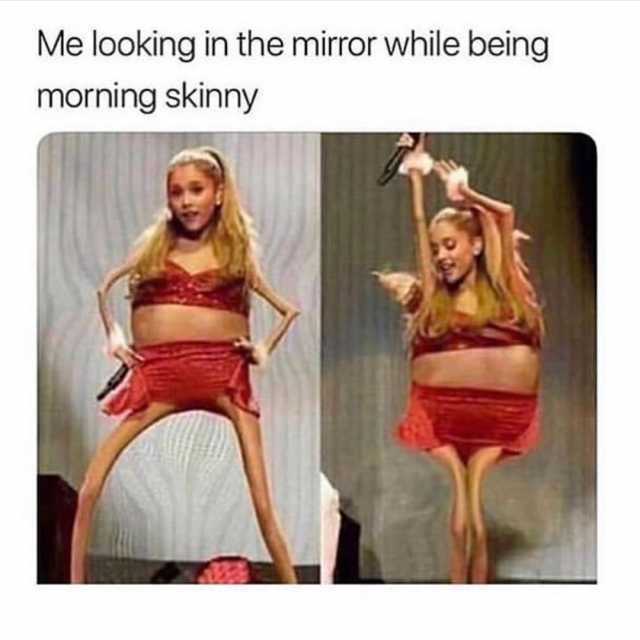 In the mornings when I wake up, you expect to wake up to morning skinny like I used to, but, like, that's a thing of the past now. I just roll out of bed like, "Ugh, I've got to pee." Where does morning skinny come from? Morning skinny is attested as early as 2011, when it was first entered on Urban Dictionary. The expression morning skinny comes from the idea that in the morning, after having gone the whole night without eating or drinking anything, a person can look thinner than normal. In its earliest interpretation, morning skinny referred to how someone looks especially thin after taking their morning bowel movement (but before eating breakfast). It is true that you can weigh a little bit less in the morning, especially due to overnight water loss, but the meaningful extent of morning skinniness is debatable. The expression morning skinny is especially used by body-conscious people who want to look thin. Women arguably use the term more frequently, although men are no strangers to that morning skinny feeling. 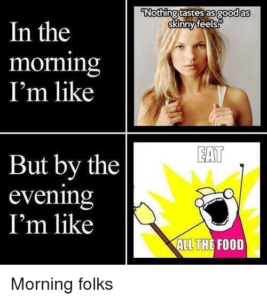 People use it as a modifying phrase, e.g., looking morning skinny, or as a noun, referring to the state of morning skinny. 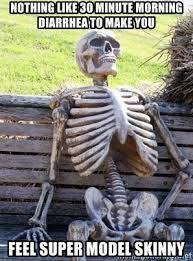 People on social media mention morning skinny in reference to how attractive they feel when they wake up. They might also go on about how they wish they could be morning skinny all day. Obsessing over being morning skinny isn’t necessarily a great thing either, folks. It feeds into the ridiculous idea that only (unnaturally) skinny body types are beautiful, which can contribute to eating disorders and psychological problems if unchecked.